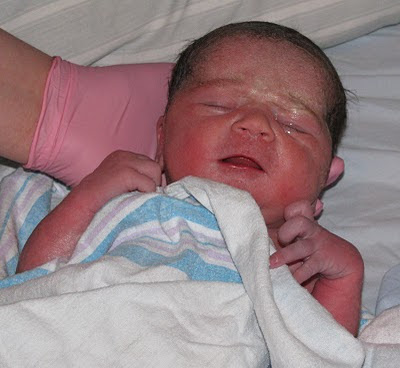 Our son, Jonathan, was born September 23rd, 2008, three and a half weeks early. 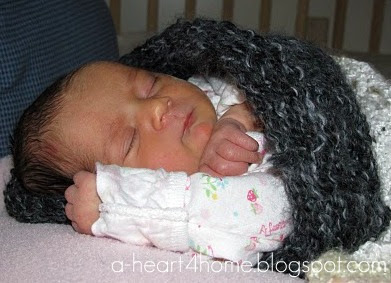 Our second daughter, Eliya, was born February 9th, 2010, two weeks early. To say that I expected this baby to come just a wee bit early would be an understatement. This is my fourth baby in less than five years and we had just moved across several states and were in the process of unpacking and setting up our new home so I definitely wasn't taking it easy during the last few weeks of my pregnancy. On Friday, August 5th I was trying to nap when a crampy feeling started to accompany my frequent Braxton Hicks contractions. Within 20 minutes I experienced 6 of these crampy but not painful contractions. I walked down the stairs to tell Tim that something was feeling different and while I wasn't in labor I felt like I could possibly be going into labor soon. At this point I decided that it was probably time to take a break from the unpacking to pack a bag to take to the birthing center. I also took some time to pack a few changes of clothes for the kids and decided to jump into the shower. When I got out I began writing out a schedule for our kids to give to whomever would be taking care of them while I was in labor (we have a few different people on stand-by due to work schedules). By the time I finished writing down some general information I realized that my Braxton Hicks contractions had slowed down to about 1 every 20 to 30 minutes. Also the crampy feeling had subsided. While I was a little disappointed I felt like it had still been a good sign that I would probably go into labor before too long and if nothing else we had finally packed our bags and prepared a little more for going to the birthing center. We spent some time the following day at my parent's house. During our time there I was pleasantly surprised to discover that I had lost a large section of my mucus plug. I took this as even further proof that our baby would be joining us shortly. Then two and a half weeks passed. We were told that our street (near a major river) would have to evacuate because of Hurricane Irene. Amelia and I were discharged early in order to beat the storm. We spent the entire day and night with some wonderful friends who generously opened their home to our now family of 6. We are officially back home, with absolutely no damage from the hurricane. God is good! Some people are great at getting stains out of everything. Unfortunately, I am not one of those people, so bibs, especially full coverage bibs, are my friends. 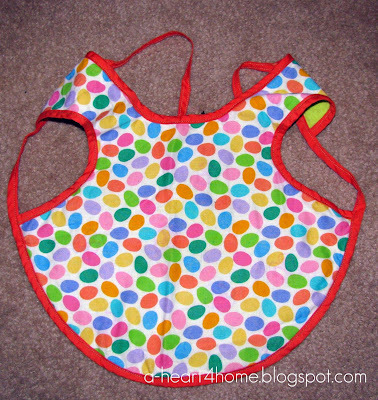 I've been able to find tons of baby sized bibs, but since our children don't really start eating food until around 10 months the small bibs are quickly outgrown. I also like the larger pull-over-the-head style bibs, but the neck holes tend to get stretched out and then leave the kiddos' shirt collars completely exposed, defeating their purpose. As I began packing for our move a couple of months ago I rediscovered my favorite bib (it's really been through the ringer). I love the concept of this bib, although it's probably actually an art smock, but the laminated fabric has definitely seen better days. 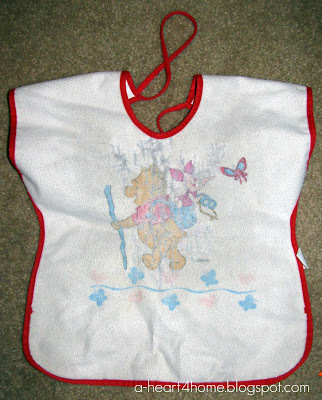 I wanted to take the general idea of this bib and try to make it even better. 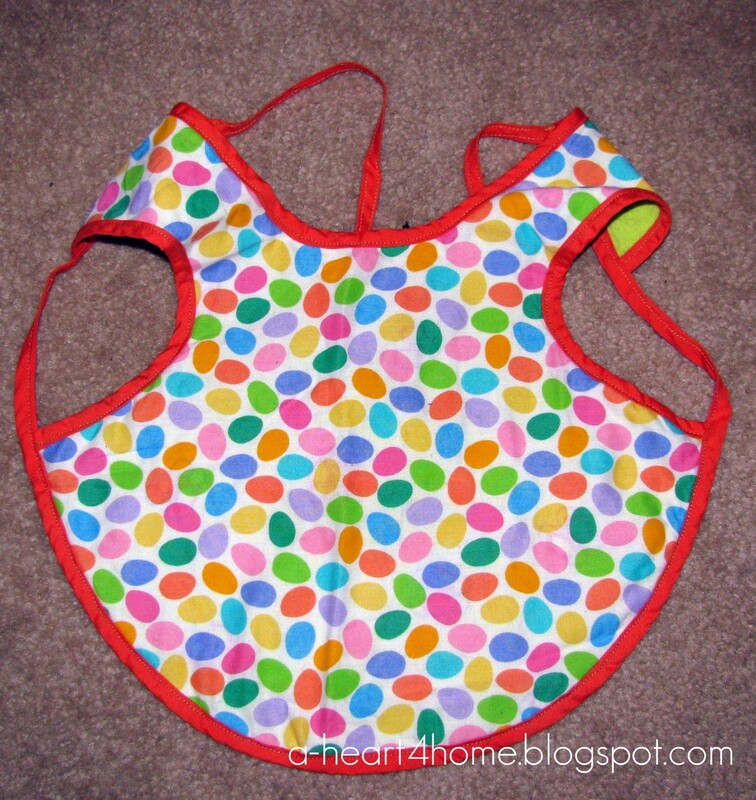 The things I love about this bib are that it completely covers a toddler's torso and that the arm straps and neck tie make sure it stays in place. What I did not like was the type of fabric and the square shape. I decided to make the bib a little bigger with a more rounded bottom so the bib would lay flat more easily when the wearer is seated. I also chose to use a cotton fabric on one side and an absorbent flannel on the reverse. I simply played around with the shape then attached both fabrics wrong sides together using bias tape. I love the finished product! I've already made another one for Jonathan and have three more cut out and waiting until I get a little time to make some more bias tape. Linking up to Finer Thing Friday and Frugal Friday. One reason we got rid of our television several years ago was because there is so little wholesome material on TV these days. That’s why we are always excited to discover movies that we can feel good about watching. This month we were given the opportunity to review one such movie: The Grace Card. After police officer Mac McDonald loses his son in an accident, years of bitterness and pain erode his love for family and leave him angry with God…and everyone else. Can Mac and his new patrol partner, Sgt. Sam Wright, somehow join forces to help one another when it’s impossible to look past their differences – especially the most obvious one? Without giving away too much of the story line, I really enjoyed this DVD. It started a little bit slow and somewhat choppy for me. However, by the middle of the movie I was completely drawn into the drama, waiting to see what would happen. I was not disappointed. While the acting is not the very best Hollywood has to offer (although even big Hollywood names can leave a lot to be desired) the actors were very convincing in the roles. The Grace Card highlighted the power of grace and forgiveness. It also reminded me that love is a choice, not a feeling. The Grace Card is rated PG-13, because it deals with some difficult subject matter and situations. I think that children under 13 could watch this movie but I would recommend that you watch it first to decide if you think it would be appropriate for your child. Buy It: The Grace Card is available in Christian bookstores, DVD stores, and on Amazon. Win It: We have one copy of The Grace Card to give to a reader! 1. Visit The Grace Card website, then come back and tell us why you'd like to win this DVD. The giveaway will end Wednesday, August 31 at 11:59pm EST. We will pick the winner through random.org. 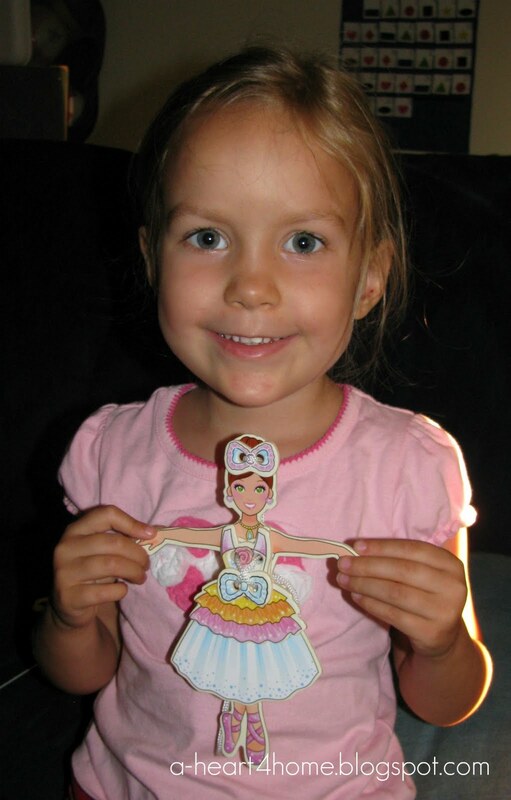 This past Saturday, on a quick trip to Dollar Tree, we stumbled upon this adorable wooden dress up ballerina for $1 of course. 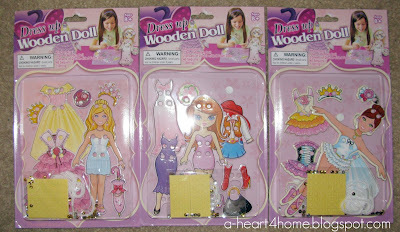 The set comes with the wooden doll, three dresses, four head accessories, and a lacing string. 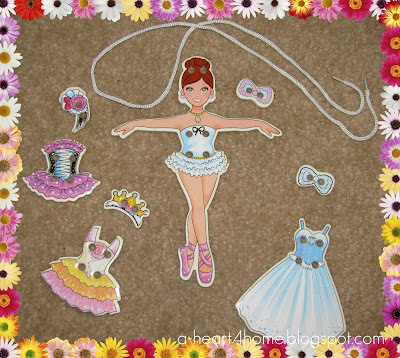 There were also lots of little sequins and double sided sticky dots that you could use to attach the sequins to the doll and clothes, but I decided that the tiny sequins might not be the best idea for our little ones at this age. Emahry loves her new doll! Even Jonathan wants to play with it (I wish they made a boy version!). There are so many different outfit combinations you can make by layering the different pieces. Lacing the clothes on is also wonderful fine motor skill practice. The package also shows two other wooden dolls, so we stopped back into Dollar Tree yesterday to see if they are in stock as well. 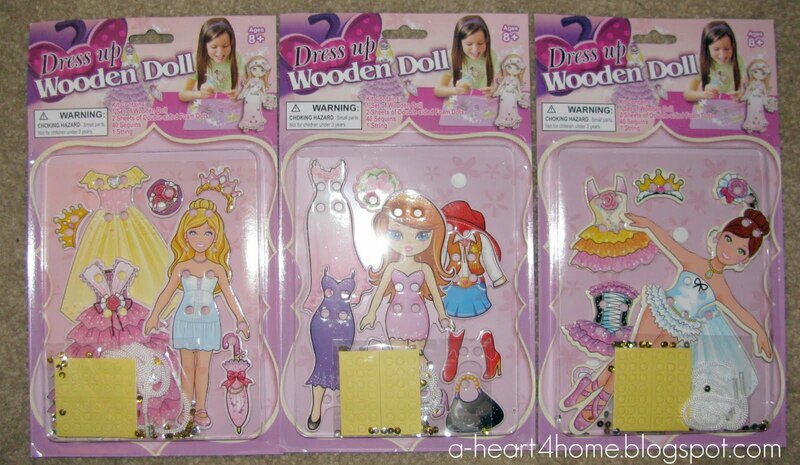 We were happy to find the other two dolls and we also picked up a few extras to have on hand in our gift box. 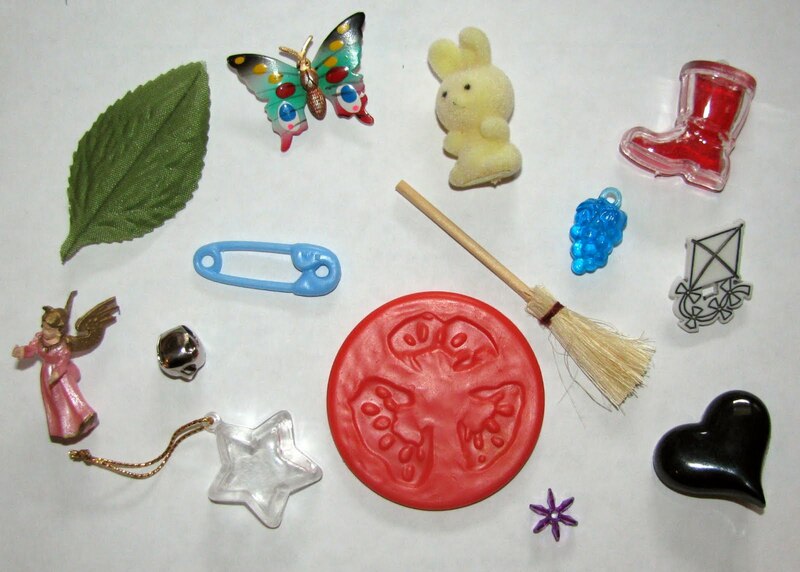 Have you found any fun and inexpensive toys recently? :: Be prepared for tears as you read Why Every Moment Matters When You're a Mom. :: As we settle in to our new (smaller) home we definitely can agree with Jessica's post on Dejunking Your House to Save Money. :: Along the same lines is Todd's guest post on How Cleaning Your Garage Saves You Money. 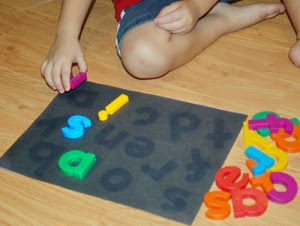 :: We're going to be making a couple sunbleach puzzles like the one below with Emahry's and Jonathan's names. :: We'll also be using this idea for a Name Work Station where Emahry and Jonathan will sort letter cards (tiles, bottle tops, etc.) by which letter are in their names and which letters are not. I've been wanting to organize my necklaces for a very long time. Our last house had tons of storage and lots of little unused drawers in the bathroom, so this project was pushed to the back burner. However, our new two bedroom townhouse is definitely challenging my organizational skills and finding a place for my jewelry (other than stuffed into my sock drawer) had proved to be impossible. 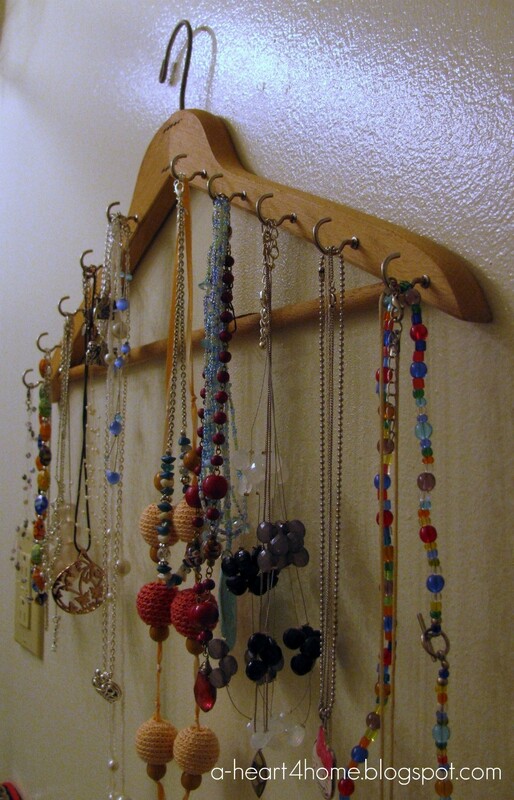 I knew I wanted the necklaces easily accessible in the bathroom where I would be getting ready. I also knew that the large empty and unused wall that flanks the sink and mirror would be the best place to hang an organizer. I simply raided my parents' house for an old wooden hanger. 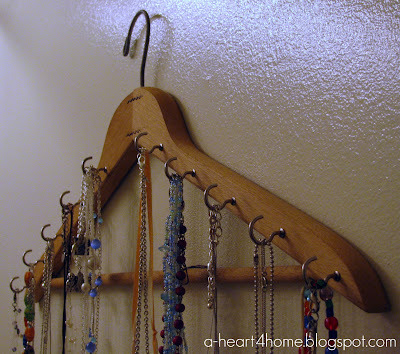 I chose one that would sit flat against the wall and the was thick enough to screw the hooks into. 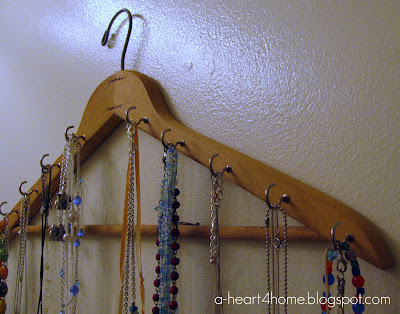 You could easily paint the hanger to have it match your decor, but I liked the natural wood. At first I thought I might be able to screw the hooks in by hand, but after the second hook I knew my hands would never make it through that process. Thankfully, I worked on this project at my parents' house and my dad simply brought me a pen and told me to mark where I wanted the screws. Then he went out to his handyman workshop and used his drill press to pre-drill holes (not all the way through) for my hooks to screw into. A regular drill with a small drill bit would work well, too. Once the holes were drilled this project took all of about 10 minutes to finish by simply screwing one hook into each hole. Linking up to 5 Minutes for Mom, My Organized Chaos, Tara's View of the World, Goodbye disposable, Hello cloth, and Mom to 2 Posh Lil Divas. Today, Kristin and I are happy to introduce you to Christy, the newest member of Tri-Moms. Please, check out her blog and leave her some comment love. Oh, and for those who are wondering...no baby yet. This week's topic is something our seemingly ever growing family sure knows about. While my husband Tim and I have added three (soon to be four) children to our family in the last 4 years, because of God's wonderful provision through people who love him, we have not had to increase our clothing budget at all! Thankfully, God has proved his faithfulness in providing clothing for our children time and time again. Of course, we've also had to humble ourselves to accept hand-me-downs (not really an issue since I grew up wearing them as well), realize that our children don't need the very latest fashions, and get creative with what we are given. As a whole I believe we've only ever bought shoes, socks, and underwear for our children. Even with those items, we are blessed with parents who have helped us tremendously by purchasing what our children need for Christmas and birthdays instead of filling our home with unnecessary toys. 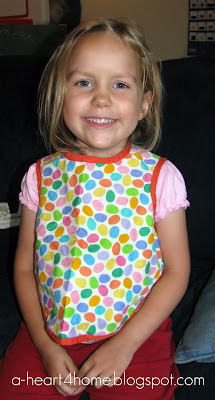 In fact our biggest challenge with our children's clothing is not keeping too much. Since our girl clothes will now be passed down from Emahry to two little sisters and since we still would like more children, it seems logical to store at least some clothes after the current wearer has outgrown them (especially since we've been given almost all of the clothes, making them completely free). However, there comes a point where being good stewards could easily turn into hoarding. On our latest move I reevaluated all of the clothing we had stored away in boxes and totes and limited myself to one box per size, gender and season. We then passed on the blessings that had been given to us by sharing the remainder of the clothes with other families. Even with the smaller baby sizes sharing boxes we had numerous boxes to find space for. 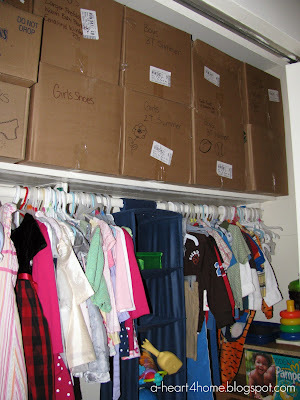 Thankfully, since we are now living in a two bedroom townhouse, my parents were more than happy to let us store the too small boy's clothing and the far off girl sizes in their attic. Also, the kid's new room has the largest non-walk-in closet I think I've ever seen, so we were able to pack in all of the clothing that our four kids will be wearing in the next year onto the top shelf and part of the floor of the closet. For some this may still seem like a lot of clothing, but so far we've found that the one box rule works great for our family. For the smaller sizes, when our children make more messes and ruin more clothing, we are able to keep more items. As they grow and are a little gentler with their clothes, we are able to save less and still have plenty of clothing for each season. So, how do you deal with clothing a bunch? Are you blessed with hand-me-downs or grandparents that purchase clothing for your little ones? Do you shop end of the season clearance racks or hunt for clothes at yard sales or thrift stores? Do you store clothing to pass on to younger children? How do you keep your clothing storehouse organized? Be sure to hop on over to Kristin's blog and new Tri-Mom, Christy's blog to read their ideas on this topic. We'd love to have you join in with your tips and plans in our comments section. While our midwife Addie and nurse Rachel both thought I was too relaxed to be in labor, the fact that I was already 7 cm dilated and having contractions 4 to 5 minutes apart for 1 to 1 1/2 minutes each easily proved my case. Over the next few hours my contractions became even stronger and closer together. By this point I was still walking around between contractions but leaning on Tim each time one hit. I also spent some time rocking on a birthing ball and in the tub. Again with this labor, every time I got into the tub my contractions would slow down. On one hand this gave me some time to rest, but on the other it meant that I wasn't progressing as much as I could have if I was not in the tub. Tim was again a great coach and helped me remember to eat when I could and stay hydrated. After one of my frequent trips to the bathroom I prepared to return to my position sitting on the birthing ball, but as soon as the next contraction hit I jumped up saying that it felt like I was sitting on the baby. Addie said she'd like to check my progress so I slid onto the bed and was greatly relieved when she announced that I was fully dilated and that the only thing that appeared to be holding the baby back was the bag of water. She asked if I'd like to leave it intact or have her break it. Tim and I decided to have her break it. After the third attempt, my water finally broke and at least for a minute I felt a tremendous sense of relief. Now I just had to wait for the urge to push. This may sound crazy, but I love when I finally get the urge to push. With all of my labors so far, the pushing is definitely the easiest part of the whole process. It also helps to know that it is all almost over. I spent the next half hour or so kneeling on the bed with my chest, arms, and head resting on the birthing ball as Eliya moved into the perfect position. Around 8:30 AM I asked Tim to start praying that I would get the urge to push. Within ten minutes it came. Addie told me I could push right where I was if I didn't want to change positions. With my next contraction I tried to push still kneeling on the bed, but I immediately felt like I didn't have enough control and flipped to my back in the middle of a push! 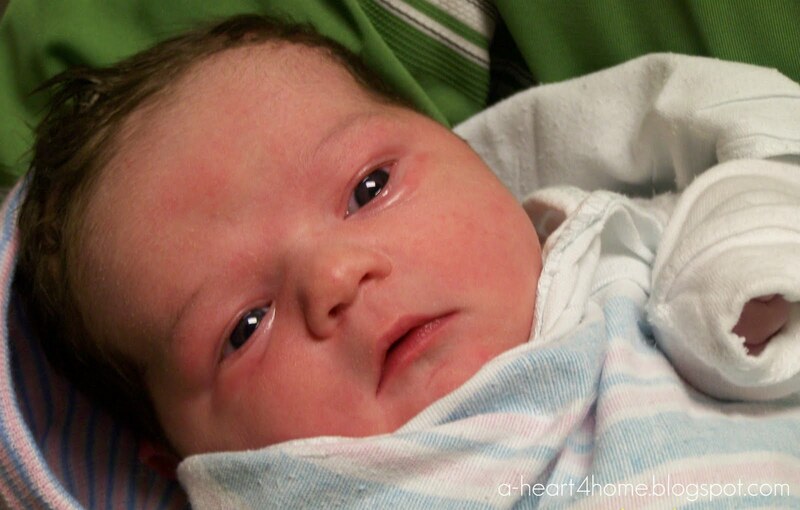 At this point, Rachel, our nurse stepped out to answer another midwife's question. With the next contraction Eliya's head was out. Rachel rushed back in saying she didn't think it would be that fast. As Addie unwound the cord from Eliya's neck (all of our babies have been born with the cord around their necks) Tim moved into position at the foot of the bed to catch Eliya. He barely made it before the next contraction hit sending Eliya sliding out into his hands. It was 8:45 AM. Within seconds Tim had placed our newest blessing on my chest. She was absolutely covered in vernix so Tim called her our little cheese ball. Here she is after being cleaned up a little. 5 lbs. 14 oz. ~ 19 1/2"
After a couple of minutes spent getting some meconium off of both Eliya and me, Eliya began to nurse contentedly. Other than when Rachel cleaned her up a bit and gave her a once over Eliya spent the next several hours just hanging out in bed with Tim and I.
I was able to take a relaxing shower minus little heads trying to peak through the curtain and Tim and I enjoyed a large lunch together in our room. By 3 PM we were ready to head home. As I walked through our front door I was greeted by my sister, but Emahry and Jonathan had absolutely no interest in me and went straight to Eliya. It was nice to be home again (and less than 12 hours after leaving for the birthing center). But the best part was our entire family being together for the first time. Thankfully, after Eliya's birth I felt absolutely fantastic, very similar to how I felt after Jonathan was born. In fact, I had committed to making dinner for one of our neighbors who had just had a baby two weeks earlier and I had plenty of energy to cook dinner for my family as well as hers that evening. I'm praying that this next labor and delivery goes as smoothly and that I'll be able to jump back into taking care of our family's needs quickly. Would you please consider joining with me in that prayer? :: I loved Amy's post There's Beauty in Your Ugly Stroller. We definitely know the humbling sacrifice of working towards financial goals in a society that encourages us to desire the latest and best. "Managing our money well to gift our family a debt-free life" is beautiful! :: I'm also enjoying Matt and Laura's series of Healthy Marriage Tips from A to Z. This week was Be Intentional. You can catch up on tips A through H here. :: We'll definitely be adding some of these counting cards to Jonathan's Pre-Pre School activities. :: I'm also looking forward to making some Jellyfish in bottles with the kids this year. Be sure to translate the page and watch the video. What good reads did you happen to find this week? 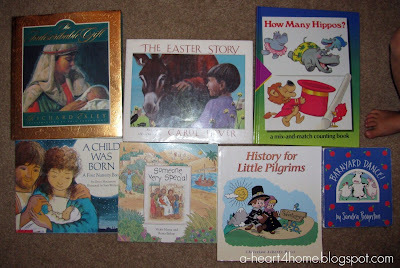 The kids and I took a trip to Goodwill this past week and scored some nice deals on a handful of books. We spent just under $2.00 for all of these which makes me quite happy. Most of them will be added to our workbox themes (Bible, Numbers & Early Math Skills, and History) for this coming school year. Titles: The Indescribable Gift, The Easter Story, How Many Hippos?, A Child Was Born, Someone Very Special, History for Little Pilgrims, and Barnyard Dance!. Linking up to My Life on a Taffy Pull and Shopping Superstars. We've made Larabar Type energy bars in the past and loved them, but they've been on my to do list for a couple of weeks since I bought two packages of pitted dates on sale. In the past I've followed online recipes to make these delicious knock-off bars. I've also simply used the ingredient lists on the Larabar website (just click on the flavor to view the ingredients) to make up my own concoctions. Either way the bars have come out tasting incredible! As a side note my favorite flavors so far are Key Lime Pie and Chocolate Chip Cookie Dough (no surprises there). This time around I didn't want to be bothered with forming and wrapping individual bars so I decided to try making some healthy energy bites instead. These healthy bites are very forgiving and super easy to make. I put both of these in the food processor after processing individually. I discovered that I had added a little too much ground almond. I was out of dates so I added in some raisins and lime juice to make the mixture more wet. Then it got a little too wet, so I added in some unsweetened dried bananas and coconut flakes (a little at a time, I had learned my lesson) and continued to mix in the food processor until the mixture formed a ball. 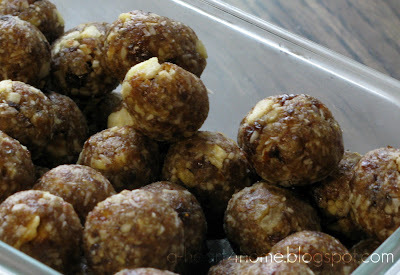 Then we simply rolled the mixture into small balls or bites and placed them in an airtight container. When we finished we snapped the lid on the container and placed the healthy bites in the fridge. These have been the snack of choice all week. The combination of ingredients made a great tropical flavor. Honesty, I would choose these over most cookies, they're that good! Good thing they aren't actual Larabars or we would have spent a small fortune by now. As we prepared to leave for the birthing center, I remembered that I didn't have any belly shots from the last several weeks. Now I was afraid that if I didn't have one taken right away it might not happen at all, so I asked Tim to retrieve the camera from the truck to take one. 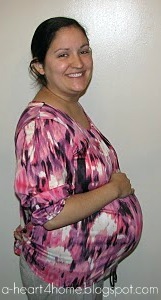 Here's my 38 week very pregnant self, already in labor. By this time my contractions were about 5 minutes apart and lasting a little over a minute each. I was still able to work through the contractions on my own so I thought I was probably only about 4 or 5 cm dilated, but after Jonathan's super quick labor I didn't want to risk not making it to the birthing center on time. 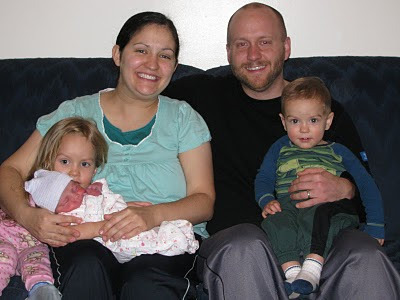 When they returned I ran through a few quick things with my sister, then the three of us prayed together and Tim and I headed to the birthing center about 35 minutes away. When the midwife on call, Addie, checked me upon arrival I was already at 7 cm. She and the nurse, Rachel, couldn't believe I was so far along since I was laughing and acting "too calm" to be that progressed in labor. You can also read Emahry's Birth Story and Jonathan's Birth Story. We're hoping to add a new birth story to our growing family very soon, so please keep us in your prayers as we anxiously await our newest addition! I found this great I Spy Bag idea at A girl and a glue gun and knew I wanted to make two, one for Emahry and one for Jonathan. 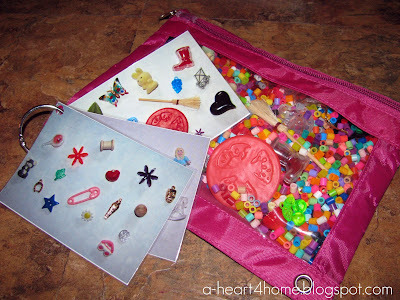 Kim used a zippered pencil pouch to make a super quick and easy I Spy Bag. Super quick and easy are my go to projects right now! I found zippered pencil pouches at Walmart for 97 cents (they are better quality than the $1 versions the Dollar Tree carries). Then I went through the house and my craft stuff to find little bits and pieces to hide inside. I divided the small objects into groups and placed them on a sheet of white paper. I took a picture of each group then placed the items in the pouch. 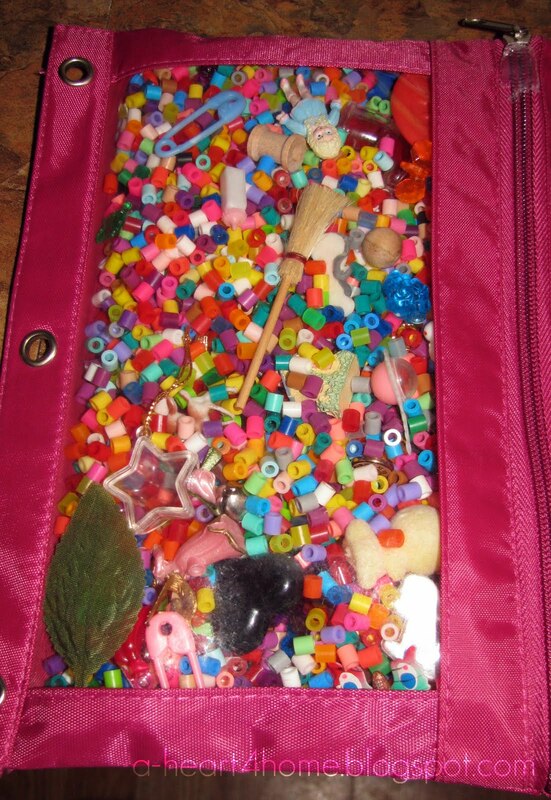 Once I had all the objects inside I added about 1 1/2 cups of Perler beads (any beads would work, but I bought a huge bag of these at a yard sale for 50 cents). Then I zipped the pouch closed and used a glue gun to place a clump of hot glue over the zipper so the kids can't get them opened. I cropped the photos in Picnik, printed and laminated them. Then I hole punched each corner and attached them to the pencil pouches with book rings (a mini carabiner would be great). See, super quick and easy! 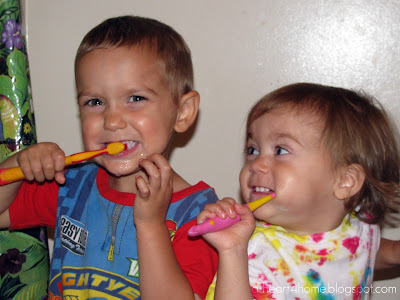 Linked to Frugal Friday @Life as Mom. I'm excited about joining Kristin @ Bits and Pieces From My Life as a Tri-Mom! Kristin and I are looking for another mom to join us in our blogging triangle. If you are interested in writing for Tri-Moms, send Kristin an e-mail @ two.pogs@gmail.com and she'll send along our brief application for you to fill out. Today the Tri-Moms are discussing Summer Fun on a Budget. Please chime in with your thoughts and ideas in the comments section. With my husband, Tim, working long hours and with me being very pregnant with our fourth baby in 5 years, most of our summer fun this year revolves around being at home. 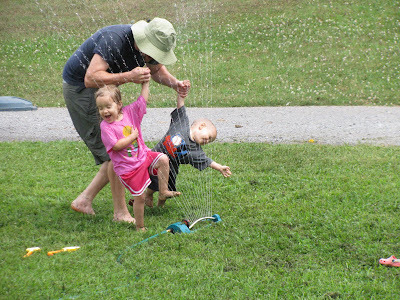 Our kids love to be outside so much of our summer fun happens in the great outdoors, mainly our small yard. One of the best inexpensive ways we've found to entertain small children during the summer is some type of water toy. For our family we decided that a sprinkler would be better than a kiddie pool at this stage. The thought of getting all three kids into bathing suits and then making sure that no one tries to drown all while keeping them from being too rough with the pool didn't sound like too much fun for me. With a sprinkler we can simply run through in our normal play clothes then drip dry in the sun or change if we decide to get really soaked. Also, I don't have to worry about as many potential accidents. This is what has worked for us so far, although I'm sure with our most recent move to a townhome with no yard we will be revisiting this decision soon. 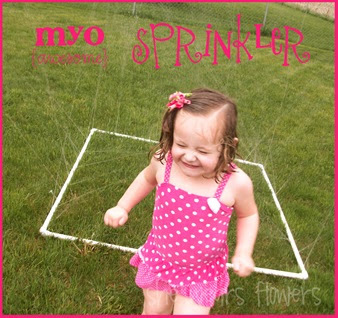 My parents purchased a oscillating garden sprinkler (similar to these ones) for our kiddos last summer and we have had numerous hours of enjoyment from this less than $20 purchase. Even after the plastic housing was cracked by a poorly placed jump, the sprinkler still works fine. I think our next sprinkler will be a homemade PVC pipe one like this. To go along with our sprinkler, we added these homemade Sponge Bombs to our outdoor play this summer. They can be used very much like water balloons, but you don't have to worry about filling them up or picking up all the pieces of broken balloons that will inevitably be littered around your yard after a water balloon fight. 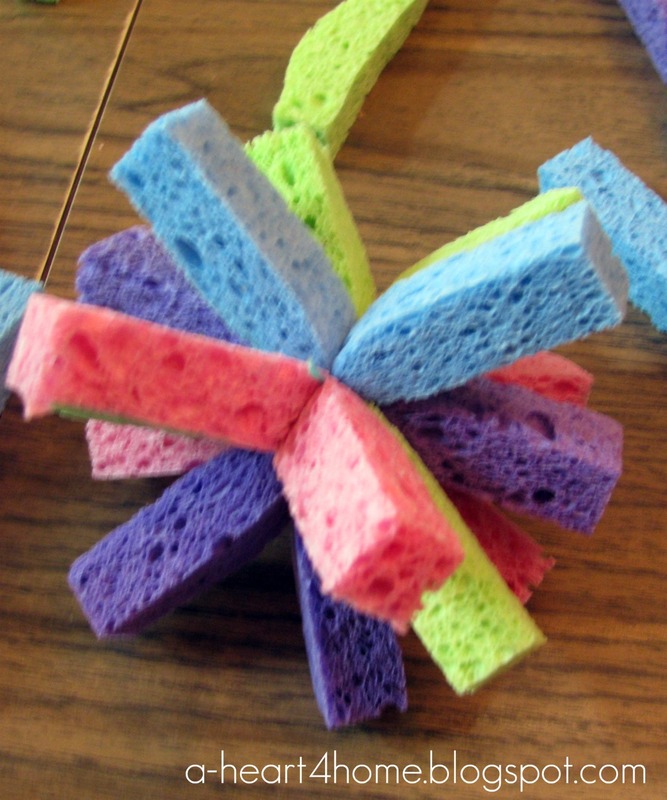 Our kids love these sponge bombs and ask for them almost every time we go outside! They've also been a big hit with many of the other children (both younger and older) that live near us. 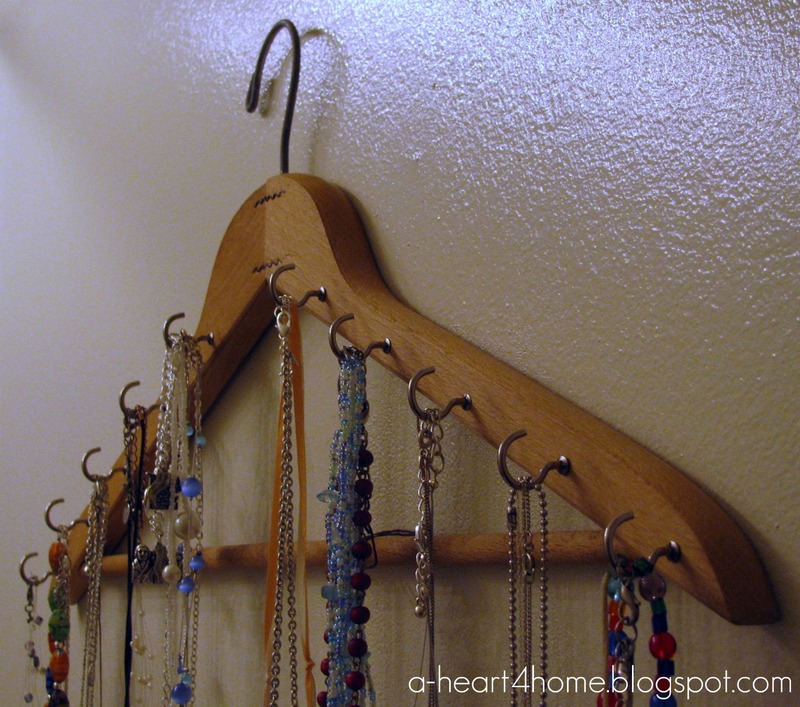 Our final tip for summer fun on a budget would have to be one of our latest DIY projects, Homemade Cooling Necklaces. These make any outdoor time more fun by helping to keep our family a little cooler in the scorching summer heat. So, what tips do you have for Summer Fun on a Budget? We'd love to hear your suggestions, so please leave your comments below. Be sure to hop over to Kristin's blog, too, to read what she has to say about inexpensive summer fun. How do you get the most bang for your buck when clothing your family? Do you purchase clothing at end of the season clearance sales, thrifts stores or yard sales? How do you store clothing that is passed down from one child to the next?